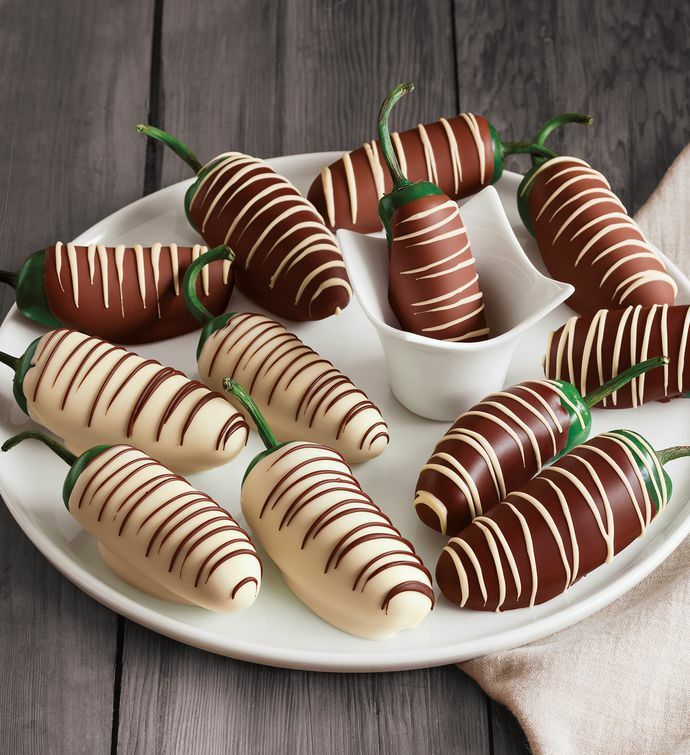 Blending heat with sweetness, these hand-dipped chocolate-covered jalapeños are a delicious and daring combination. Each pepper is dipped in pure Belgian chocolate and decorated with contrasting chocolate stringing. The jalapeños are harvested and quickly shipped to the chocolatiers to ensure maximum freshness, and they actually retain a crisp crunch under the layers of chocolate. For those who enjoy spicy food, these chocolate-covered hot peppers are a crisp, surprisingly juicy specialty treat.